LET'S TALK ABOUT CHANGE. 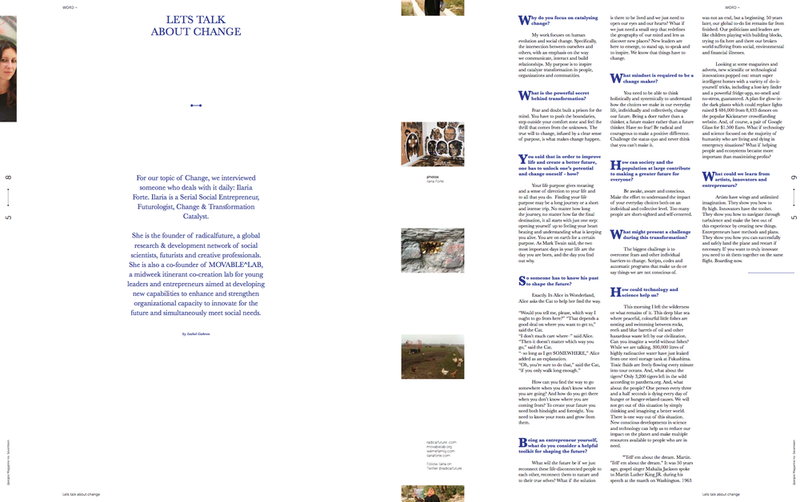 INTERVIEW WITH ILARIA FORTE FOR THE JPEOPLE MAGAZINE, ISSUE EMBRACING CHANGE. Older PostEMBRACING CHANGE THROUGH ART, DESIGN AND NEW LEADERSHIP. ARTICLE FOR JPEOPLE MAGAZINE, ISSUE EMBRACING CHANGE. WRITTEN BY ILARIA FORTE AND DR. PETER EVERTS.